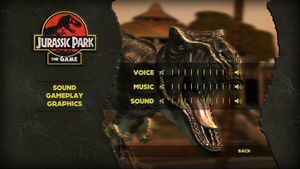 The Windows version is meant to give a choice of keyboard and mouse or controller every time but some players only see it once. For keyboard and mouse, set InputSelect to 1 and Controls to true. For controller, set InputSelect to 0 and Controls to false. Repeat as needed to change modes. 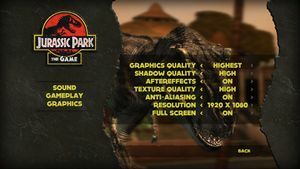 The Windows version allows you to change the display resolution, but for some, this won't allow you to run the game to change the settings back to default. Delete the registry entries for the resolution X-value and the Y-value. Deleting the modified display settings will restore the resolution to defaults. ↑ 1.0 1.1 File/folder structure within this directory reflects the path(s) listed for Windows and/or Steam game data (use Wine regedit to access Windows registry paths). Games with Steam Cloud support may store data in ~/.steam/steam/userdata/<user-id>/201830/ in addition to or instead of this directory. The app ID (201830) may differ in some cases. Treat backslashes as forward slashes. See the glossary page for details. This page was last edited on 27 March 2019, at 21:28.